MOSCOW, December 27. /TASS/. 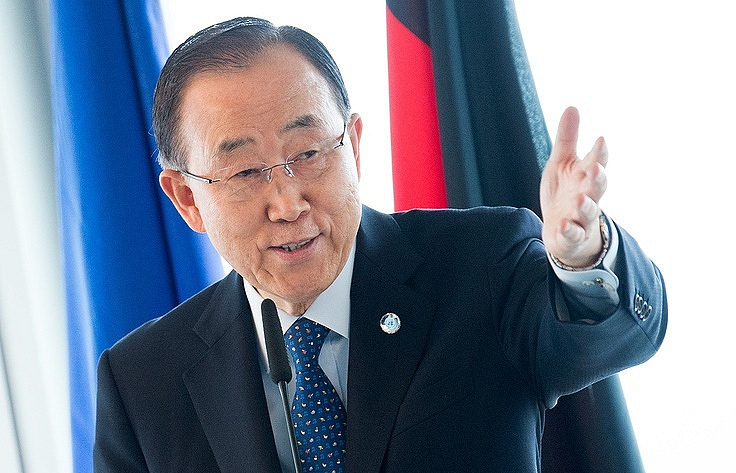 UN’s outgoing Secretary General Ban Ki-moon had a telephone conversation with Russian Foreign Minister Sergei Lavrov on Tuesday, in the course of which he praised Moscow’s role in ensuring global peace and security, the Russian Foreign Ministry said. "Lavrov said he was satisfied on the whole with the level of collaboration with Secretary Ban, who quits on January 1, 2017 in spite of all the complications and controversies of the period of world politics that his term of office fell on and the pressures he had he was subjected to," it said. 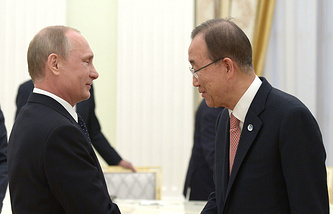 "Ban Ki-moon thanked Russia for its support to the UN and praised Moscow’s role in the matters of ensuring global peace and security," the ministry said. Lavrov also thanked Secretary Ban for the messages expressing gratitude for cooperation, which the latter man sent to Russian President Vladimir Putin and Prime Minister Dmitry Medvedev. Lavrov and Ban Ki-moon had a telephone conversation on Tuesday to discuss the situation in Syria and peace settlement of the civil armed conflict in Ukraine. "In the course of the conversation, they took up some pressing issues of the international agenda, including the situation in Syria and other countries of the Middle East and North Africa, as well as the peace settlement in Ukraine on the basis of the Minsk accords and the UN Security Council Resolution 2202, which endorsed them," the Russian Foreign Ministry said in a press release.